MossOff® Lawn Care is a chemical free moss killer for use on turf areas. 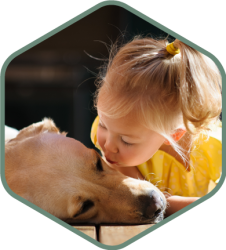 Being a natural non-biocide treatment, MossOff® is safe for use around pets, children, fish, and waterways. Its unique mode of action has a beneficial residual effect that helps prevent moss from regrowing for a long time period after application. When MossOff® is sprayed on moss and dries completely, it forms an invisible, biodegradable micro-coating that prevents moss from absorbing moisture and nutrients from the air, causing it to die. 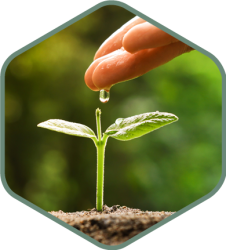 MossOff® is a brand new, natural non-biocide treatment that is completely safe to use near people, animals, plants, and posts. It dries to form an invisible biodegradable micro-coating that controls moss and prevents regrowth for a long time after application. MossOff® is safe to children, pets, plants, and pond life. 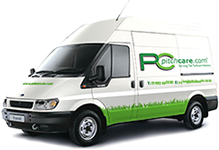 Effective and long-lasting control of moss in your turf. MossOff® is made from natural ingredients and contains no chemicals. Will not scorch grass or plants. MossOff® Chemical-Free is made from natural ingredients, including natural oils and starch. 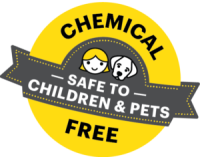 MossOff® Chemical-Free is completely safe to use around children and pets. 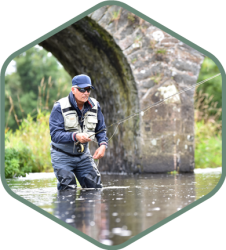 MossOff® Chemical Free is completely safe to use around waterways. Only apply MossOff® Lawn Care on a rain-free day as MossOff® must dry completely to work. Shake the bottle thoroughly and dilute with water to recommended ratios. For best results, use a sprayer to wet the affected area well, saturating the moss. Remember to rinse your sprayer and nozzle when finished, so it is ready for future use. 1 x 5 L bottle of MossOff® will create up to 30 L of diluted solution, and can cover up to to 210 m². When to apply MossOff® Lawn Care? MossOff® Lawn Care can be applied at any time of year, when the turf is completely dry. How long does MossOff® Lawn Care take to kill moss? Moss should show clear signs of treatment. once left to react for 7 to 10 days. When MossOff® dries, is it affected by rainfall? Once MossOff® had dried, it forms an invisible micro-coating that is durable, not affected by rainfall, and continues acting to preventing moss growth for a long time. For further information regarding MossOff® Lawn Care Moss Killer 5L, please contact our technical sales team on 01902 440250. If you have any access restrictions for lorries or large vehicles please speak to our sales team on 01902 440250.